Here is Some Information about Ambaji Temple in Ambaji Gujarat. 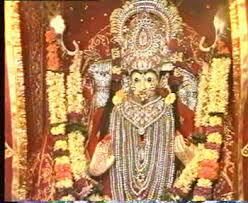 Ambaji maa temple is a temple of the mother Goddess Amba mata. 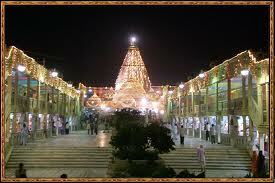 Ambaji maa temple is one of holiest and a major shakti peeth of India. It is located at a distance of approximately 65 Kms from Palanpur and 45 Kms from Mount Abu near the Gujarat and Rajasthan border.Among the most ancient Saktipeethas in the state of Gujarat, The Ambika of Arasur, occupies an enviable place.She is popularly known throughout Gujarat and Maharastra as Ambaji. The Great Miracle of this Holy Place is that there is no idol or picture in the Nij Mandir or Temple of Shri- Arasuri Mata Ambaji, but a simple cave like Gokh in the inner wall, in which A Gold Plated Holy Shakti Visa Shree Yantra having kurma back and 51 letters therein, connected with that of the original Yantras of Nepal and Ujjain Shakti Piths is visible, However this Holy Gokh of Mata Ambaji with Shakti Yantra is decorated so well by the priests Pujari of the Holy Place that one can see it or imagine it as an idol of Mata Ambica in one of her incarnations or swaroop of Nav Durga. 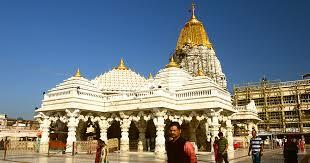 The architecture of ambaji temple is very artistic and wonderful, displaying Indian Culture and Traditions. 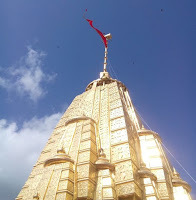 A glorious Pot or Kalash shines at 103 feet height on the top of the temple, weighing more than 3 three tones as a whole. It is made from a whole special marble, brought out from the mines of Arasur (Parvat) Hill and has been plated with pure gold, attached with The Holy Flag of Mata Ambaji and Trishul. 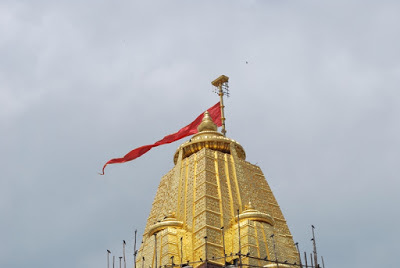 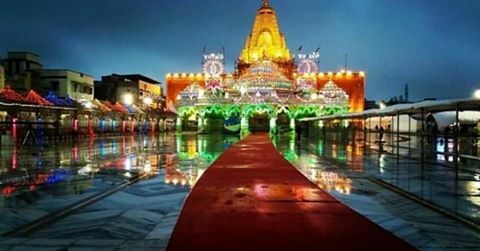 The Main Temple of Ambaji is smaller with a huge Mandap and a Holy Gokh of Mataji in the Garbh - Gruh, in front of which is a huge Chachar the ritual worships of Ambaji is usually performed in Chachar Chowk.Now a days The Ambaji Temple Dom making Golden. By Bus: Ambaji is located at a distance of 180 kms from Ahmedabad. 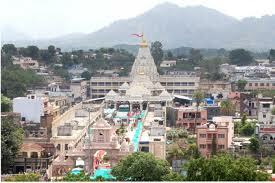 Regular bus services from GSRTC are available for travelers’ convenience. 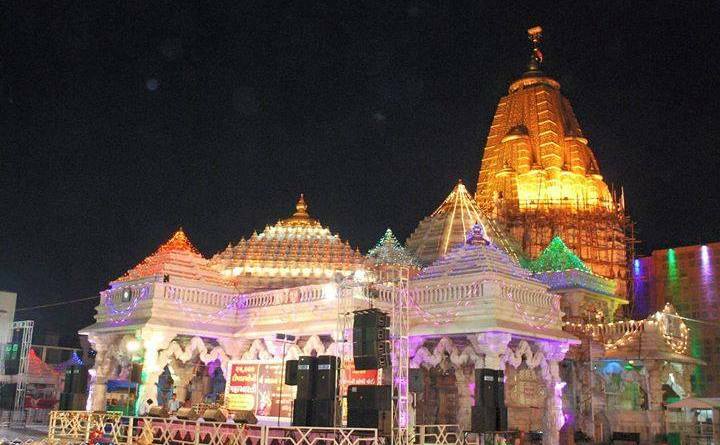 Tourists can reach Ambaji from other places including Gandhinagar, Vadodara and Ankleshwar of Gujarat. Bus services are also available from Mount Abu, Jaipur and Udaipur of Rajasthan to Ambaji. 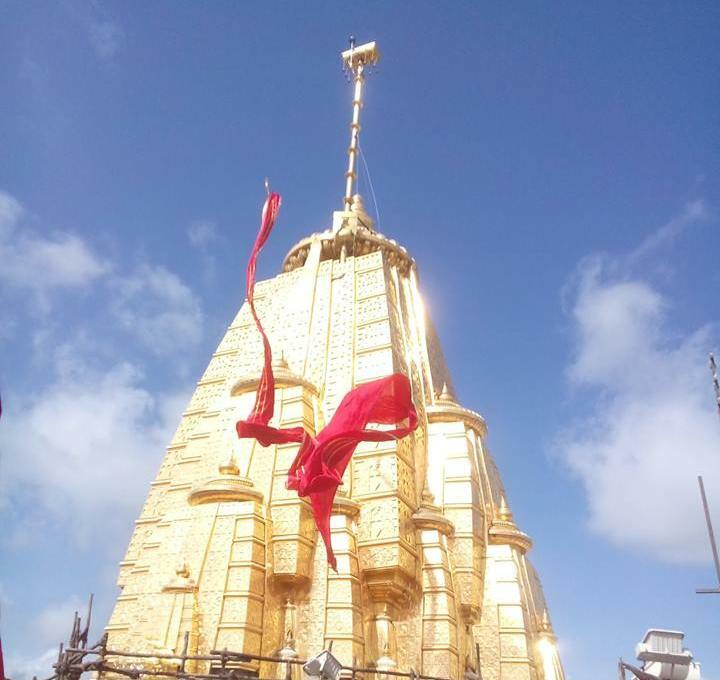 The town is 45 kms away from Mount Abu and one has to travel 65 kms from Palanpur to reach it. Private cabs are available on hire from far-flung areas such as Ahmedabad and Gandhinagar. 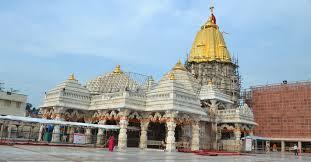 Even metered taxis too could be considered for a budget travel from prominent places to Ambaji anytime. 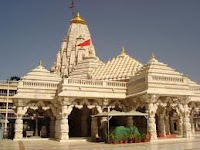 By Air - Sardar Vallabhai International Airport in Ahmedabad is the nearest airport to reach Ambaji. 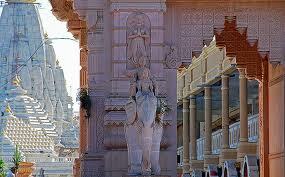 Tourists can hire local taxis for a cheaper fare. 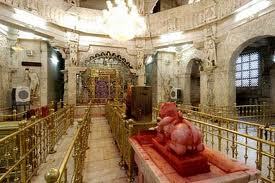 By Rail - Abu Road station, which is located at a distance of 29 kms from Mount Abu, is the nearest railway station to reach Ambaji. 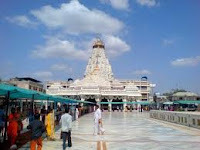 The distance between Abu Road station and Ambaji is 20 kms.